Starting March 2, the second season of the show will be simulcast in six languages. South Indian Superstar Mohanlal has come on board as a brand ambassador for the show in the South. Star Plus, the leading Hindi general entertainment channel, is bringing back its widely acclaimed show, Amir Khan Productions' Satyamev Jayate. The show is believed to have inspired a billion imaginations, changed lives and touched hearts. Its new season promises all that and builds on the momentum of the wheels of change started in Season 1. 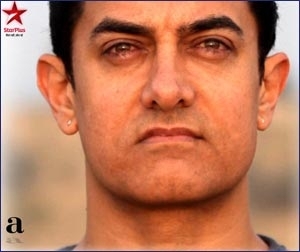 To be launched on March 2, Satyamev Jayate will be aired every Sunday at 11 am. It will be simulcast in six languages across Star Plus, STAR World, STAR Pravah, STAR Vijay, Asianet, STAR Utsav and Doordarshan. There will be a deferred telecast on ETV Telugu at 1 pm. Interestingly, this season of Satyamev Jayate will have only five episodes as compared to 13 in the earlier season. Since the show is heavy on topics, the channel wants to give viewers time to soak in and help create a larger emphasis for the cause. Having said that, it will return with shorter breaks, newer seasons and episodes. The gap between the first and second season is of about two years. Uday Shankar, CEO of STAR India, says, "When we look back at Season 1 and the response it evinced, you can see a new culture of hope for change emerge. Satyamev Jayate truly reflects the aspirations and concerns of the country. In that, it has the strength of a nation behind it. We look forward to the support of our audience to take the message of the show far and wide." 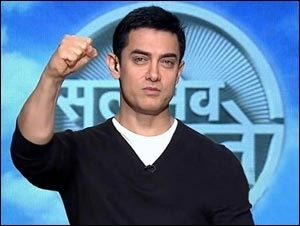 Aamir Khan says, "I am excited about the new season of Satyamev Jayate, a show that is extremely close to my heart. It was a journey of learning and revelation, a tough one for me to tread on but I am extremely happy with what we have managed to do this season, in bringing forward relevant and key social issues that matter to the people of this country. With a partner like STAR India, we look forward to taking forward the cause of Satyamev Jayate and enabling more participative and action oriented change this season across India." Airtel has come on-board as the title sponsor and Axis bank as the powered by sponsor for the new season of Satyamev Jayate. Reliance Foundation is the philanthropic partner on the show. The associate sponsors on board include Aakash Educational Services and Clean & Dry. On associating with Satyamev Jayate again, Aakash Chaudhry, director, Aakash Educational Services Limited says in a press note, "We believe in the content and contribution of Satyamev Jayate and take immense pride in allying ourselves with the talk show. On a broad scale, we share the values and commitment Satyamev Jayate stands for. As an educational institute dedicated to nurturing the future of children in India, we share a nationwide commitment and in turn toil hard to give it bright doctors and engineers, so that they can together build a strong nation for tomorrow's children." The second season of Satyamev Jayate, as the marketing campaign declares, is for all those who care for their country, "Jinhe Desh Ki Fikr Hai". It will educate, engage and empower audiences to participate in an action-oriented change, and will be seen running through the year with an innovative programming approach that includes episodes in tranches. The issues that the show will address this season are those that concern and impact every citizen of India whether they are from Mumbai, Delhi, Cochin or Kolkata. South Indian superstar Mohanlal has come on board as a brand ambassador for the show in the south. His association will help carry the show's message to a larger audience segment. According to the channel, the show is supported by a compelling and visible marketing campaign with the STAR Network taking the lead and press, outdoor, digital and radio providing the immersive surround. Another key element integral to the campaign is the series of on-ground activations with ambient touch-points called "Fikr Touch points" created across the country to take forward the campaign message. The first season of Satyamev Jayate was watched by over 500 million Indians and elicited responses from over 843 cities, 1.5 billion impressions online and a collection of more than Rs 22 crore in donations. The channel claims that the earlier season was the most talked about show online. The upcoming season too will see greater emphasis on digital media using an integrated approach through various digital touch points - mobile, social media and websites being amplified throughout the year. There is a special Satyamev Jayate website, www.satyamevjayate.in, with the goal of engaging and empowering a community of Satyamev Jayate change agents. Satyamev Jayate's 'mid-week' score is healthy; but can it hold on? Aamir Khan's Satyamev Jayate wins applause; but will it be able to sustain?